Quinta Brunson, the former Temple student who dropped out to create viral comedy content with the likes of BuzzFeed and Facebook, is ready to give back to her hometown of Philadelphia. 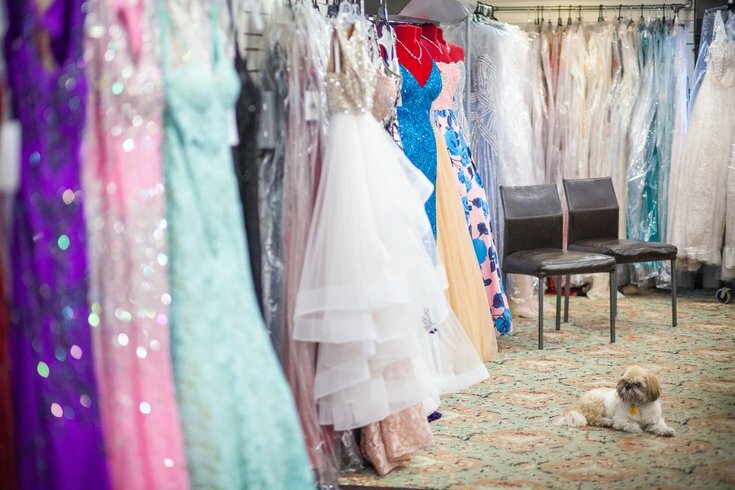 Though it might seem a little early to start thinking about prom season, most teens excited about attending are probably already thinking about their outfits -- and how to pay for them. On Twitter Brunson said she could help. “I’ve decided I’m going to buy some girls in Philly their prom dresses this year. I’m pumped,” she wrote, before adding she would buy some boys their tuxedos, too. I’ve decided I’m going to buy some girls in Philly their prom dresses this year. I’m pumped. Brunson’s tweets received a rapid response from others looking to help out -- makeup artists, photographers, dress donors, and others. A 2015 report found that the average family shells out an average $919 on prom between apparel, tickets, limos, and other expenses, and the burden can be higher for lower-income families. Throughout the last few years, as costs continue to stagger, there have been several other local efforts to help students afford the ideal prom. Last year the City of Philadelphia gave away 500 dresses at its annual Red Carpet Glam event. Brunson rose to recognition with the launch of her 2014 Instagram video, “The Girl Who’s Never Been on a Nice Date.” Since then she’s been proclaimed a Forbes 30 Under 30, signed a deal with talent agency ICM Partners, and now stars in a Facebook Watch web series, “Quinta vs. Everything.” Check out some of her work below. Others have been on a similar page as the comedian, and there are already some prom donation drop-off centers in the city. Now through March 17, stop by The Rack Fashion Boutique (5138 Market Street) or PNK Elephant (828 N. Broad Street) with your gently used dresses, shoes, and accessories.